During decades and centuries of urbanization, the best available ground for construction has often been populated or otherwise utilized already. Softer ground conditions require a stabilizing technique before construction. The technique is to drill casing tubes through the overburden to the solid bedrock and fill them with concrete. 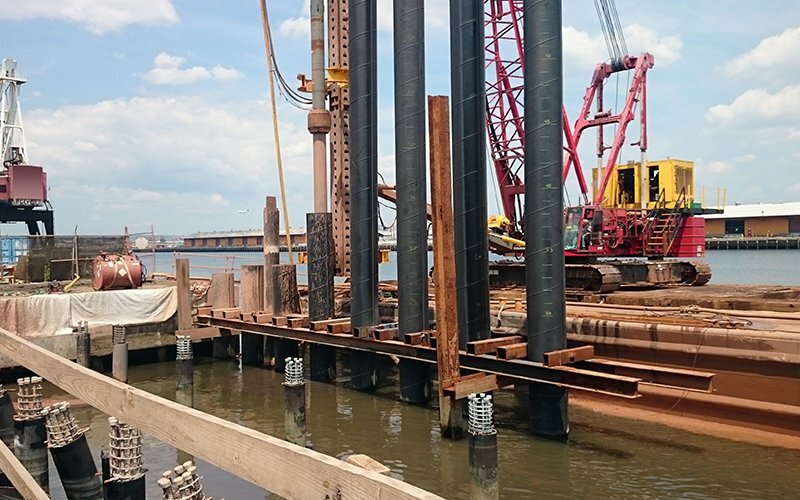 Pile foundations are principally used to transfer the loads from superstructures, through weak, compressible strata or water onto stronger, more compact, less compressible and stiffer soil or rock at depth, increasing the effective size of a foundation and resisting horizontal loads. They are typically used for large structures, and in situations where soil is not suitable to prevent excessive settlement. Drilled piles made with Robit® Casing Systems have significant advantage compared with other piling methods and systems: Fast drilling with maximum straightness of the hole, reliability to reach the targeted depth, and extreme simplicity to use.